"'Why seek ye the living among the dead? "Our Savior lived again. The most glorious, comforting, and reassuring of all events of human history had taken place--the victory over death. The pain and agony of Gethsemane and Calvary had been wiped away. The salvation of mankind had been secured. The Fall of Adam had been reclaimed. "The empty tomb that first Easter morning was the answer to Job's question, 'If a man die, shall he live again?' To all within the sound of my voice, I declare, If a man die, he shall live again. We know, for we have the light of revealed truth. "'He is risen! He is risen! 'Tell it out with joyful voice. 'Let the whole wide earth rejoice. 'Death is conquered; man is free. 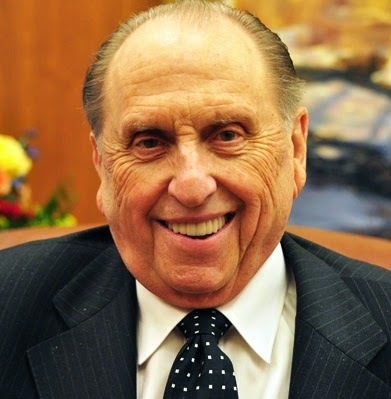 "As one of His special witnesses on earth today, this glorious Easter Sunday, I declare that this is true." For Christians, Easter is the most joyful celebration of all. While Christmas is the promise of hope, Easter is the fulfillment, the confirmation. 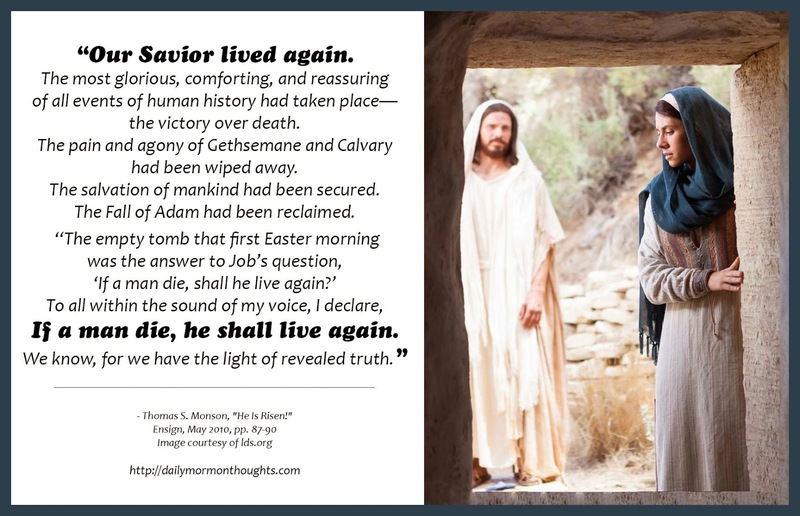 That is why President Monson can say that the most meaningful words in all of Christendom would be, "He is not here, but is risen." How profoundly grateful we should all be for the eternal significance of the gifts of Atonement and Resurrection.